This morning I was in the Sainsburys that used to double as our local corner store, browsing the magazine section, when my eyes fell on an unexpected keyword: Bosnia. I've waited a long time to see a UK magazine write a positive article about the country that has been home to us for the past four years. I almost found one last year, an online version of an article snowboarding around Sarajevo by Outside magazine, but that didn't count as Outside is an American publication! 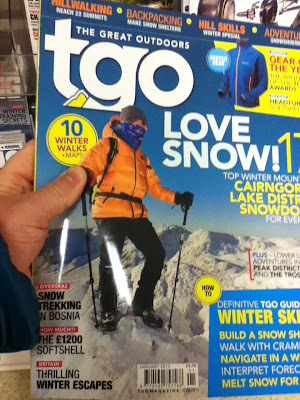 What you see here is the January 2013 issue of The Great Outdoors. "Snow trekking in Bosnia" is one of the cover stories. Having already bought The Economist, Wired and Onboard (a snowboarding magazine) in the last two days I wasn't about to buy another magazine just for the sake of one article of interest. However, I did stand there and skim read the story to confirm it was, indeed, a positive one. 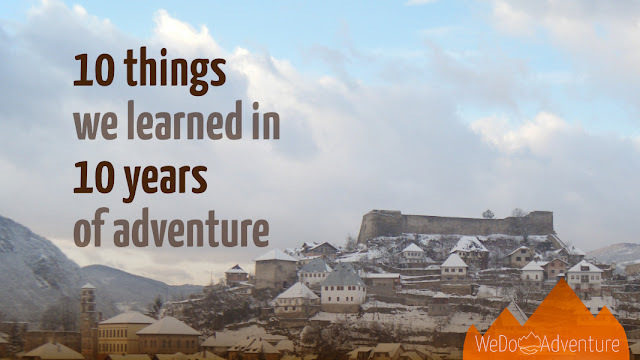 We've long recognised that the great outdoors is one of the treasures of Bosnia and Herzegovina that is largely undiscovered by people outside the country. It seems appropriate that a magazine of the same name should be the first UK publication we've seen promoting BiH as a tourist destination. So if you've not already bought your Christmas quota of magazines you could do a lot worse than picking up a copy of The Great Outdoors and getting inspired. If the internet is more your thing you won't be able to read that article online yet but you can check out Green Visions the company that their snow trekking trip was organised through. There is an adventure waiting for you!